Kumbeswarar kovil la vesesam na nanga veratham than..!! Last edited by suriyan80; 07-11-2007 at 03:09 PM. Last edited by Tirumala; 07-11-2007 at 03:42 PM. konjam puriyum padi sollavendiyathu thane ...sri anna..
Thiruvalluvar is the immortal poet of Tamil Nadu and has given to the world Thirukkural. The memorial statue of Thiruvalluvar is in Kanyakumari. The pedestal of the statue is of 38 feet height and the statue over it is 95 feet tall with a grand total of 133 feet for the entire sculpture. The 3 tier pedestal known as Atharapeedam is surrounded by an artistic Mandapa known as Alankara Mandapam with 38 feet height. Surrounding the Alankara Mandapa stand 10 elephant statues signifying 8 directions with earth and space down. The father of Sri. Rama, the hero of Ramayana was called Dasaratha as he was able to charioteer in ten directions. To help the tourists to worship the holy feet of Thiruvalluvar 140 steps are constructed inside the Mandapa. The pedestal with a height of 38 feet represents the 38 chapters in the Book of Aram in Thirukural and the statue of 95 feet on the pedestal represents the total chapters in Porul (70 chapters) and Inbam (25 Chapters). Thus the statue symbolically, and artistically signifies that the theme of Porul and Inbam are based on Aram. Senji Koattai Tirumalai Nayakkar Mahal idhellam eppadi. naan ponadhilla, so not much idea. Finally my contributions are LIC building and Chennai central. V tatha wants only non religious places. Screened in the mist-clad Nilgiris, Ooty is South India's premier hill station. The route to the green paradise is equally enchanting. You will travel on a steam train amidst lush greens and floating dews to a dream destination. Renowned as the Scotland of the East, Ooty is a leisure place that lingers the best of everything; sun lighting up one hill with the best colour even as the other beside remains shrouded in green velvet, mountain ponies chomping the best grass by the kerbside, and above all you will relish the best of hot filter coffee and even hotter 'sambhar'. Remember to scale the highest peak of the Nilgiris (Blue Mountains) at 8,606 ft - Dodda Betta - a mere 10 km from Ooty to behold the best of the views of south. Tourists can also go for hand-gliding courses organised by the Tourism Department from March to May. Enjoy flying over the shimmering rivulets and emerald lakes that are an angler's delight underneath. Spend your mornings at the Ooty Gymkhana Golf Club with as many rounds of golf as you want. The Ootacmund Derby is the climax of the season and attracts top Indian jockeys and is a must visit for every traveller to Ooty. We have had plenty of discussions about the new seven wonders, or 7-W version 1.01 etc. Good or bad, agree or disagree, one good thing is to list some places that are important centers of culture and interests of tourism. 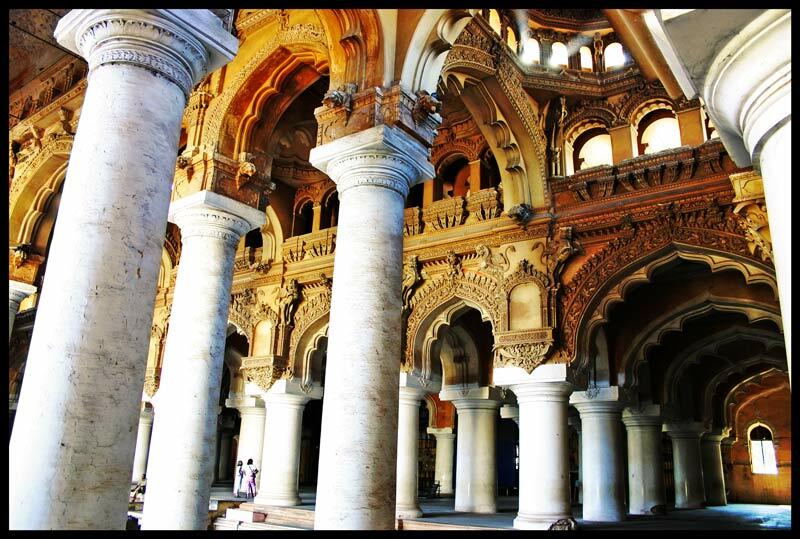 What would be your list of 7 important places to see in Tamil Nadu? Let us confine this list to only man-made wonders - architectural and other such interests (that are not-worship places). We can create few more lists for Temples (and other worship places), for natural habitats, and for beachers. Nominate them now.. we will vote for them after a week.. Each nomination should have atleast two votes/selections for inclusion in the poll..
Would be nice if you can add some photos as well. May be next time when we visit India, we could check out some of these places..